"I want someone who will never leave me, american romance author, hard to be with, love inspired author, no matter how hard it is to be with me"
I’ve seen quite a few different varieties of this one: basically, the premise is that a woman has every right to be mean, difficult or witchy, and the man simply has to be grateful that he has the pleasure of being with her. (As un-pleasurable as it might sound!) The idea seems to be that “true love” puts up with all sorts of misery because it sees beyond bad behavior. First of all, I think this goes against what we actually want. We want a lasting relationship, someone to grow old with. We want a man who loves and supports us, who adores us even when we’re sick or going through a hard time. But being difficult doesn’t actually build that kind of solid relationship. If one side of that relationship gets to be the difficult one, what about the other side of that relationship? What does he get from this, exactly? You get out what you put in, and, frankly, a pretty face isn’t enough. The thing is, we all have choices. We have choices about who we date, who we marry and who we stay married to. Ideals are one thing, but practicality is another, and people don’t tend to stay in a marriage where they aren’t cared for. No one has to be with us. No is forced into a union and shackled down for life. A relationship takes work, time, patience and devotion–on both sides. In a relationship, both people have to want to be there. Two difficult people stomping around and hurting each other aren’t ready for anything as precious as a lifelong commitment. 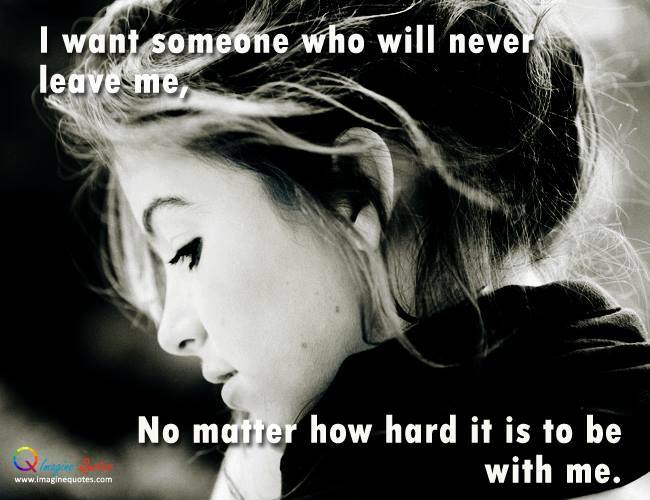 There shouldn’t be any pride in being “hard to be with.” It doesn’t prove a man’s worth by putting up with it, either. Being difficult isn’t a great achievement. But loving each other so well that your partner couldn’t imagine life without you–that’s something admirable. I heartily agree. If you know you’re hard to be with, maybe it’s time to change. I can’t imagine being stuck with someone who purposely tests me to see how much I love them. That’s not love, that’s a kind of hell. I agree! It would be a pretty miserable existence, and I highly doubt it would be a very long relationship.